Salt was first applied to roadways during the 1930s to ensure safety in the presence of ice and snow. Salt is inexpensive and readily available, which makes it the perfect de-icing compound. However, the necessary evil is also harsh on automotive finishes. However, there are a few tips that vehicle owners should implement to protect cars, SUVs and trucks from the corrosion and rust that may occur when exposed to road salt. Protect your investment by washing the vehicle as soon as possible after traveling over roadways having salt applications. At Sheehy Volkswagen of Springfield, we are committed to helping and supporting our community through food and clothing drives as well as sponsorships and donations to the many non-profit organizations in the Springfield, Virginia community. During this year’s Sheehy Auto Stores Annual Giving Campaign, we once again supported Ecumenical Community Helping Others with a $5,000 donation. VW’s One Goal of Supporting Soccer in the U.S.
We are thrilled to announce that Volkswagen of America Inc. has announced a landmark sponsorship with the U.S. Soccer Federation! From now until 2022 Volkswagen of America will be the presenting automotive partner to U.S. Soccer. With soccer being the most popular sport worldwide we are so excited that Volkswagen of America is taking an interest in supporting this sport in the U.S.
Buying a used car can be a stressful experience. There are a lot of factors at play, and it's far too common that dealerships don't provide consumers with ample information for making an informed decision. At Sheehy Volkswagen of Springfield, we aim to buck this trend. 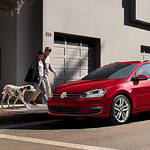 The Volkswagen Certified Pre-Owned Program is one of the ways we do just that. Let's talk about why it's such a fantastic offering. This program offers a stellar assortment of warranties for you to enjoy. These offers are applicable to an enormous range of Volkswagen models, as well. It's always better to be safe while driving in the winter months in case you're stranded on the side of the road. An emergency car kit can be kept in your trunk or the back of your car for this situation. One of the things that you want to make sure you have with you in case it's needed is a flashlight. Make sure there are batteries of all sizes as well. You want to make sure that your battery lasts for as long as possible. At Sheehy Volkswagen of Springfield, we have seen batteries affected by extreme hot and cold temperatures. Knowing more about how extreme temperatures can affect your battery, you can do everything you can in order to protect it. Cold weather can cause batteries to have slower chemical reactions. Batteries will often become sluggish. They may lose the ability to start entirely, especially when they are in extreme temperatures.